WALLED LAKE, Michigan, January 3, 2019 –(BUSINESS WIRE)—Armaly Sponge Company – home to the Brillo brand, a global leader in consumer household cleaning products, and Armaly ProPlus brand, which the company claims to be the #1 brand in professional and do-it-yourself surface preparation, finish and cleaning – announced today it has acquired Acme Sponge Company. 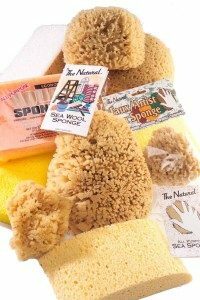 Acme Sponge Company, located in Tarpon Springs, Florida, is the #1 distributor of natural sponges globally and in the United States, and traces its roots back four generations to sea sponge merchants and divers in Greece. However, Acme Sponge Company is not just a sponge company anymore. Over the past 70 years, it has grown into a diverse multi-national company. Acme offers a wide variety of high quality products, including natural sponges, synthetic sponges, natural loofahs and loofah products, bath and body brushes, and assorted cleaning products and accessories. The acquisition will increase Armaly Sponge Company’s market share in the natural sponge segment and provide new distribution opportunities and logistical efficiencies with retailers. This transaction also provides an additional global growth platform for other Armaly branded products while maintaining best in class quality, value and standards. “We are excited to combine our unique assets and expertise with that of Armaly Sponge Company to create an even stronger company with the same family values upon which both companies were founded and have thrived,” said Jim Cantonis, president of Acme Sponge Company. “It’s an exciting time at Armaly Brands as we continue to grow our portfolio of brands and products. The acquisition of Acme Sponge Company provides a combined legacy of over 180 years in the natural sponge business and aligns with our growth strategy of becoming #1 in all segments of our business through providing the consumer with innovative quality products and a great value, all while maintaining our family culture and values. Acme Sponge Company is the perfect fit for us today and we look forward to continuing the successful growth with future product innovation,” said John Armaly, president of Armaly Sponge Company. CHICAGO – In January, 2018, the Floor Covering Leadership Council (FCLC) commissioned an independent research firm to conduct a multi-phase study to quantify the scope and severity of the lack of installation professionals on the flooring industry’s sustainability and growth. 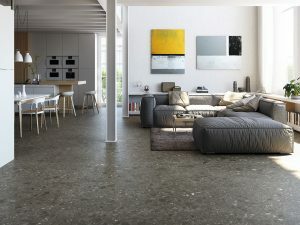 A Chicago-based research firm, The Blackstone Group Inc., was contracted to conduct the research, whose quantitative components focused on businesses that purchased workers’ services by engaging floor covering installers as direct employees and/or subcontractors in 2017. 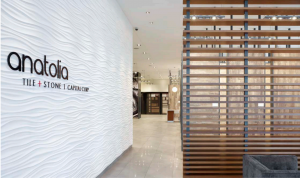 A total of 334 executives, representing floor covering contractors, retailers, workrooms, and installation businesses across 45 of the 50 states, participated. 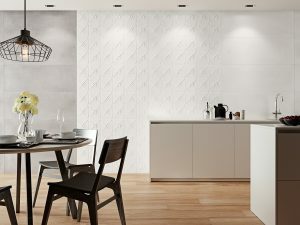 A key consideration motivating the executives who would recommend a career in installation was its perceived financial advantages. 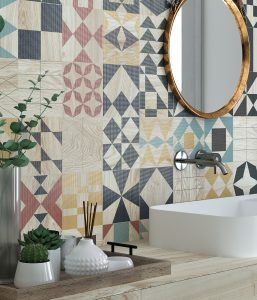 The primary barrier to recommending installation as a career was the tough working conditions that installers experience. To boost the odds of finding the “right people” for installation work many of the executives who expected to hire installers in 2018 planned to rely on current employees’ recommendations. Executives’ main source for recruiting employees varied by region. Those in the south and west more often expected to depend on personal ties than did executives in the northeast and Midwest. Aptitude for and interest in manual work. Capacity and commitment to handle the rigors of the trade. Ambition to be an entrepreneur. 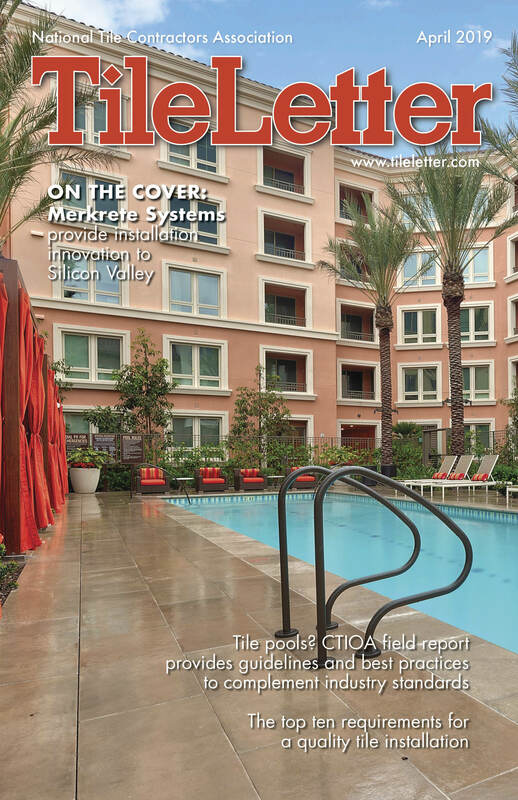 Part 4 of this series will focus on the assessment of perceptions of installation labor shortages. 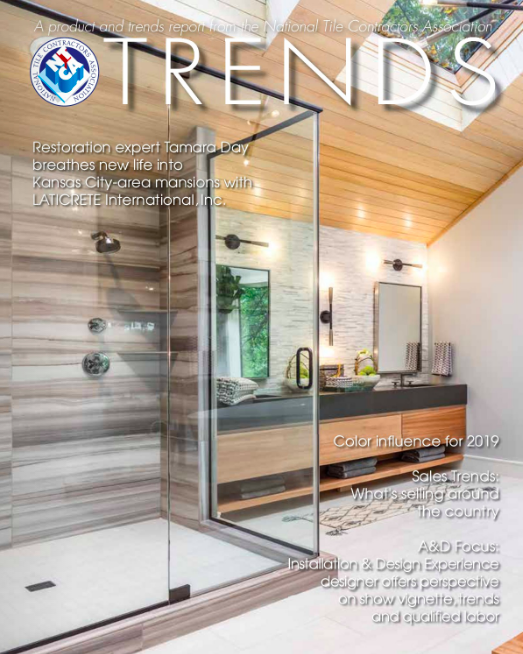 Presentations detailing the FCLC research findings will take place on January 24, 2019 at The International Surface Event (TISE) in Las Vegas and on February 28 at Domotex USA in Atlanta. 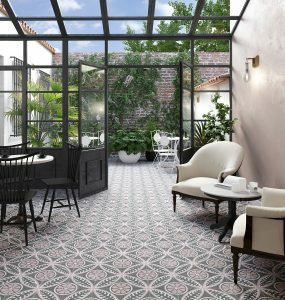 The FCLC was established in 2015 as a coalition of flooring industry trade associations committed to identifying issues and developing solutions to the industry’s most pressing challenges. Currently, twelve flooring associations support the FCLC: American Floorcovering Alliance, Inc. (AFA), International Certified Flooring Installers Associations Inc. (CFI), Ceramic Tile Distributors Association (CTDA), Floor Covering Installation Contractors Association (FCICA), Multilayer Flooring Association (MFA), Natural Stone Institute (NSI), North American Association of Floor Covering Distributors (NAFCD), North American Laminate Flooring Association (NALFA), National Institute of Certified Floorcoverings Inspectors (NICFI), National Tile Contractors Association (NTCA), Resilient Floor Covering Institute (RFCI), World Floor Covering Association (WFCA). For more information, visit www.fclcouncil.org. Born in South Bend, Indiana, Al attended Purdue University after graduating from high school. While in college he enlisted and served in the United States Air Force from 1960-64. After completing his service, he moved to Arizona. 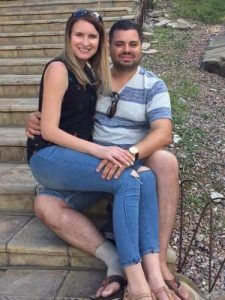 Al found his passion in the construction specification industry with MAPEI Corporation for tile and flooring installations. Al could spice up the presentation of products with clever and entertaining ways that you’d never forget. For instance, once Al wore a giant chef’s hat to talk about the chemistry in grout! 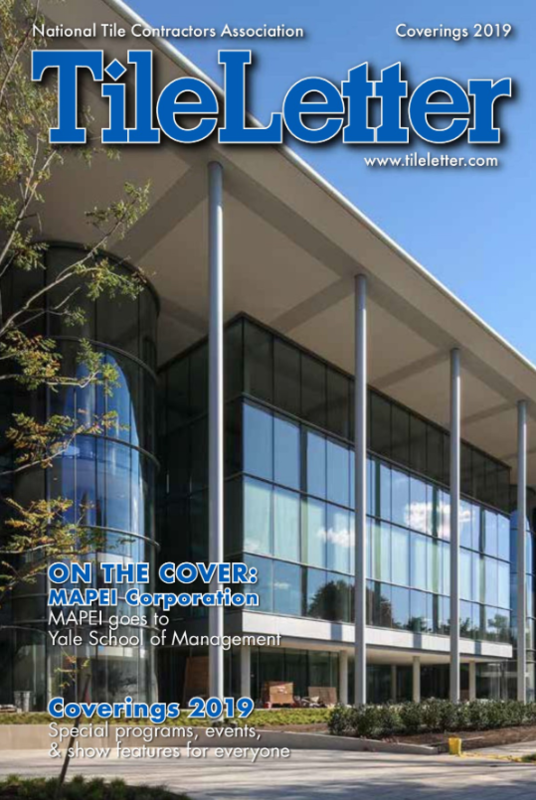 Al worked at MAPEI from the mid-80s to 2000, after which he took the specifying reins and marched all over the USA with Noble Company as Western Region Architectural Manager. 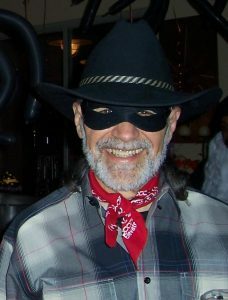 He spent nine years there until his retirement to his longtime Scottsdale residence. 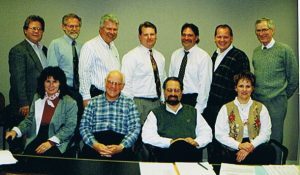 The CSI board, with Al Tarr (center right) in 1996-97. 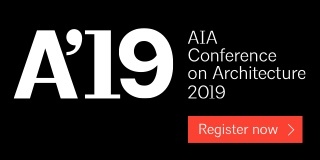 The Construction Specification Institute (CSI) was big part of his life, and Al was the life of the party at annual conferences and conventions. He always stayed to the last at the events and was a great host. He welcomed many new members, and served a stint as President of the Phoenix Chapter. He was consistently available there to lend a hand, or at least an opinion. 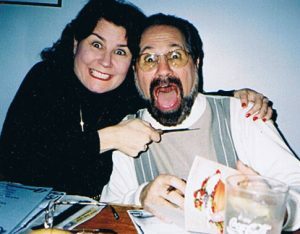 Al Tarr “cutting up” with Pamela Jackson circa 1996-97. 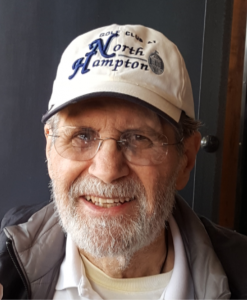 Al was feisty to the end but passed away peacefully on October 15, 2018 with many friends having visited in the last days. 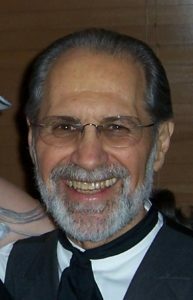 Al is survived by his sister, Judith (Tarr) Mattei and her husband Frank, nephew Russel Mattei, grandniece Ashley, niece Deborah Kolber and grandnephews Kolby and Kory, as well as many cousins and lifelong friends. Al wishes to spend eternity in his favorite beautiful place in Sedona, so his ashes will be spread at West Fork at a later date. A memorial reception will be held on Tuesday, November 6th from 3:00-6:00 at The Reference Library, 99 E Virginia Ave., #140, Phoenix, AZ 85004. Please RSVP to: 602-258-7499. In lieu of flowers, memorial contributions can be made to: Funeral Home Angels Cremation & Burial 422 W McClellan, Mesa AZ 85201, to help offset funeral expenses. Contact: Pamela Jackson at [email protected]. In addition, Pamela is collecting stories and photos for a presentation to be made at the reception. 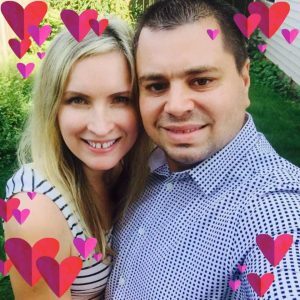 Please send photos and stories to her at the email above. 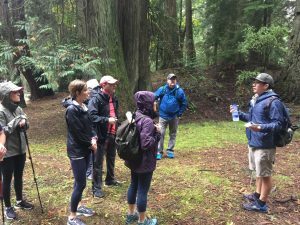 On September 29, LATICRETE’s Adam Marks and Backroads Adventure Tour leaders welcomed the company’s Most Valued Partners (MVPs) to the Pacific Northwest Seattle for a five day biking and hiking adventure. The MVP program is an industry contractor rewards program that offers not only many opportunities to earn and spend points and receive discounts, but also allows members to redeem points for industry dues and memberships, provide access to LATICRETE Support and Training Teams and enjoy exclusive adventure travel opportunities like this one. LATICRETE’s Adam Marks (l.) and David Rothberg were hosts of the MVP adventure excursion. The welcome reception with MVP guests. MVPs from Bedrosians, P.S. 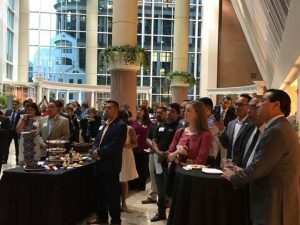 Wholesale Floors, Inc., Tiede Zoeller Inc., Spectra Contract Flooring Atlanta and Tampa, LineSync Architecture, Garden State Tile, Western Tile and Marble, Kate-Lo, Dimensional Marble & Tile, Inc., and NTCA took part in the trip. 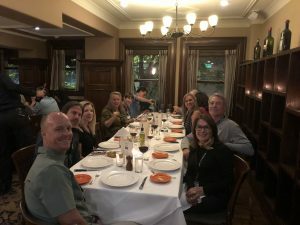 The group met Backroads trip leaders during an Italian dinner, and received an overview of the coming days. The group made plans for biking, hiking, kayaking or simply strolling quaint harbor towns. The group assembles with a guide for a hike. Setting up on day one for the bike tour. Those who chose biking (including NTCA’s assistant executive director Jim Olson and wife Mary Shaw-Olson, NTCA ad sales rep), were outfitted with expert biking guides, and bikes with state-of-the-art GPS to help pilot the riders along rolling hills and the back roads of the San Juan Islands. The biking group began with a shuttle from Seattle to LaConnor, then biked 21 miles to Anacortes. 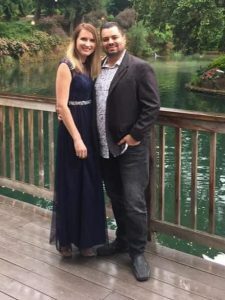 A one-hour ferry ride brought them to Orcas Island, the most mountainous of the San Juan archipelago. They shuttled to the historic village Eastsound, a charming community filled with galleries, boutiques, restaurants, cafes and bookstores. Day two began with a challenging bike ride to Moran State Park, followed by a choice of hiking or biking Mount Constitution, an elevation of 2,100’. 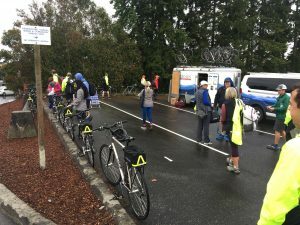 Every route provided riders with breathtaking views of Canada’s coastal mountains, snow-covered Mt Baker, the Olympic Peninsula and the islands of the Puget Sound. The evening included a special event at Red Rabbit Farm — set in a the middle of a field – a unique farm-to-table dinner featuring local produce and meats. Tuesday biking options began at the edge of Turtleback Mountain, up Enchanted Forest Road, through a thick forest of Douglas fir and western red cedar trees. 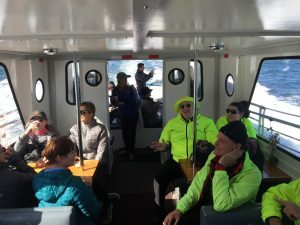 After a barbeque lunch, the group boarded a chartered boat in search of seals, porpoises, eagles and the magnificent orcas. 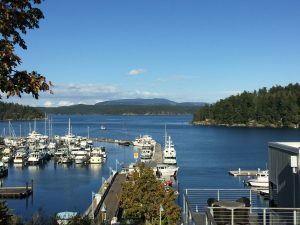 The tour stopped next on the island of San Juan with a stay at Friday Harbor. Hotel Friday Harbor offered panoramic views of the fabled harbor. 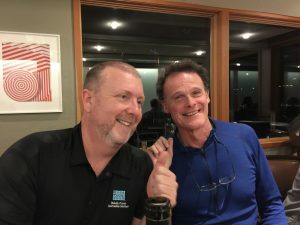 LATICRETE’s David Rothberg and his wife Nan graciously hosted a dinner at the Friday Harbor House. After the farewell dinner, some of the group convinced the restaurant to close the doors and turn up the music so they could to dance in the restaurant lobby! 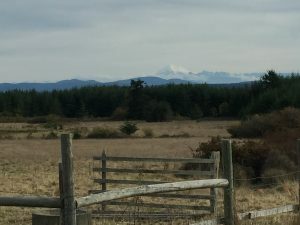 The last day included a ferry ride to Lopez Island, then a tranquil 16-mile ride through picturesque farmland and gentle hills. After a tasty lunch in Lopez Village the group shuttled to board a ferry to Anacortes, where they said their goodbyes to new and old friends and our skilled Backroads leaders. Dave Rendon, Regional Hispanic Contractors Association Board of Directors, (L) meets with NTCA Trainer Luis Bautista in Washington D.C. 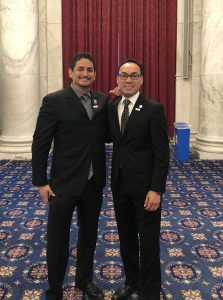 In late September, NTCA Technical Trainer Luis Bautista, along with wife Susan, took part in a legislative summit of the National Hispanic Construction Association (NHCA) in Washington, D.C. The NHCA is a non-profit 501(c)6 membership organization, representing over 4,500 companies across the country that are directly affiliated with NHCA chapters. Collectively these chapters reach over 35,000 Hispanic-owned construction firms through marketing, newsletters and social media networks. 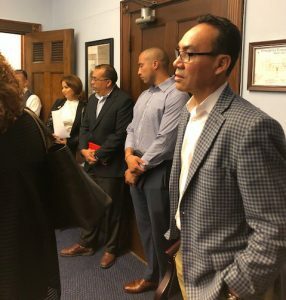 Bautista and NHCA shared with Representative Joaquin Castro concerns about labor shortage and need for vocational training, recruitment and apprenticeship. Bautista (at right) at the Legislative Summit luncheon. In addition, NTCA may partner in future legislative summits and NHCA events to brainstorm with other construction industry players (i.e. roofing) regarding apprenticeship, training and education strategies. 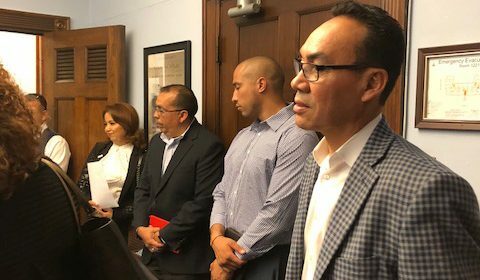 “We plan to contact the NHCA president who lives in Dallas when we return to discuss further how the NTCA may be able to work with the in NHCA,” Bautista said.